I do love it when I get asked to review a product that is a massive hit from the moment it arrives. Such is the case with the fabulous Mini Micro Scooter. 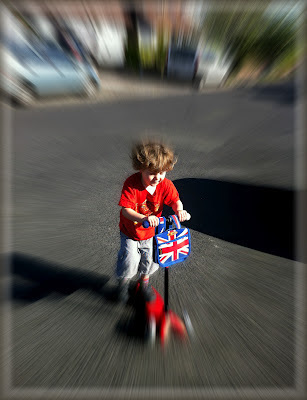 I have to admit that all three of my kids have scooters already, but I've only ever bought the cheapo versions. Looking at the different scooters on the shop shelf I couldn't really see the difference, except for the price tag, so opted for the cheapest available. Which might be why a trip to the park on them carries the same decibel warning as a small aircraft taking off. 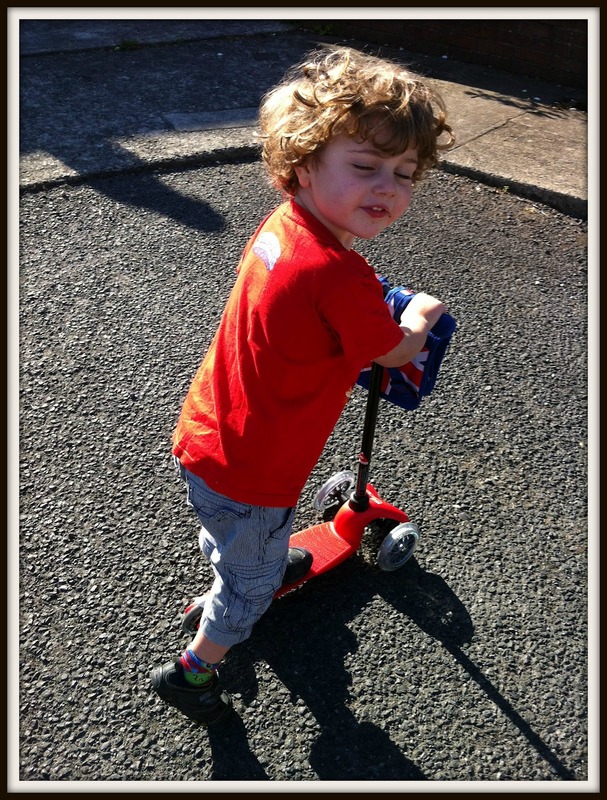 The Mini Micro Scooter is aimed at children aged 3-5 and is not cheap - but there's plenty of reasons for the extra pennies. Firstly is the aforementioned sound, of which there is almost none. It glides along beautifully and silently like an expensive car when you've spent the past five years in an old banger. Then there is turning, which just necessitates a little lean to one side. Stupid Mummy thought the steering was broken when she couldn't twist the handlebars but the 3 year old soon figured it out. 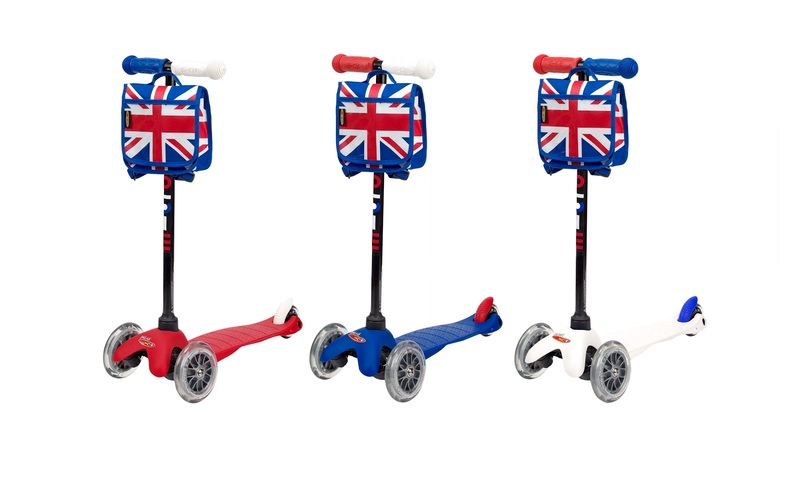 The design is pretty much perfect and the scooters come in every colour combination imaginable. The Union Jack version is a limited addition to celebrate the jubilee and comes with a little bag that clips on to the front. 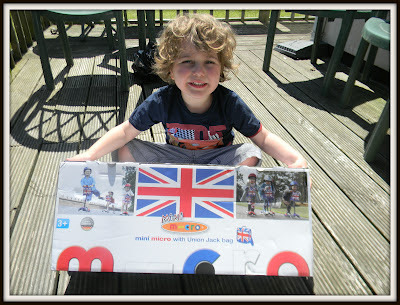 Never underestimate the power of a bag in the world of the under 5's. The accessories available are brilliant. 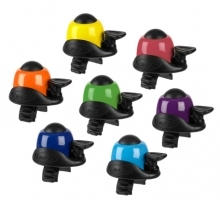 Yes a money spinner for the company but also well designed, fun and they help hold the interest of children who, lets face it, move onto my-new-favourite-thing-in-the-whole-wide-world pretty quickly. I especially like the bells but there are bottle holders, helmets, ramps and much more. You can even change the handles, brake and foot board to other colours if you want, as well as being able to replace wheels, washers and any other part that may get broke by over zealous scooter-ers. A great option if you want to 'hand me down' to a younger sibling in the future. The only problem now of course is that the other two have realised that their scooters are the cheapo versions. 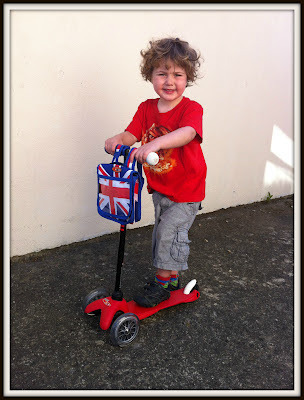 The Limited Edition Union Jack Mini Micro Scooter retails at £64.95 and can be purchased at Micro Scooters online. 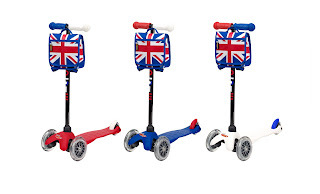 Micro Scooters also have ranges of scooters available from 1+ to adult. Micro Scooters are also available in Ireland. The Mini Micro Scooter was supplied to us free of charge however all words and opinions are my own.